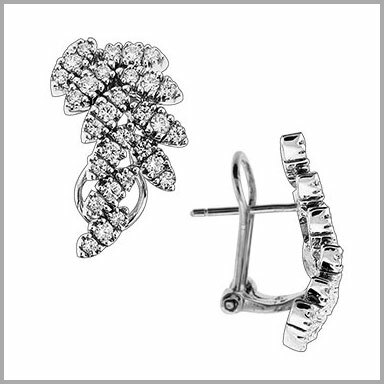 14k gold diamonds Leaf Cluster earrings 1.25cttw. Delicate, delightful and dazzling! 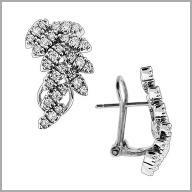 This stunning design feature 60 round full cut diamonds set in a leaf design that give stylish flair to this pair. It come with a post and omega back and the measurements are 12mm x 20mm . The diamonds total weight is 1.25cttw GH in color and SI in clarity. This pretty pair will be your go to for all special occasions!